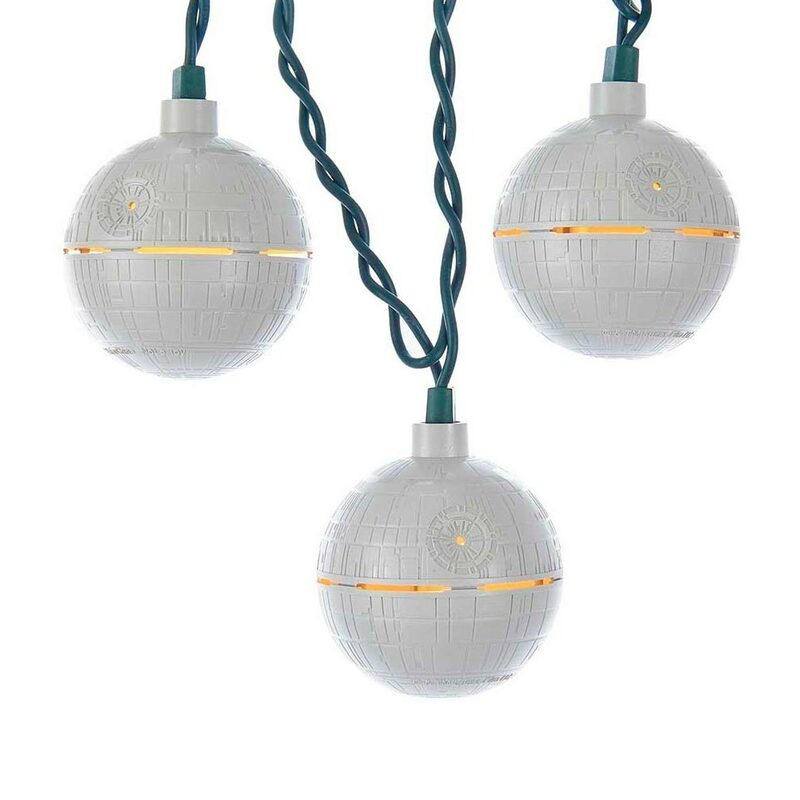 It doesn’t take a genius to figure out about a dozen different places to use these Star Wars Death Star String Lights. 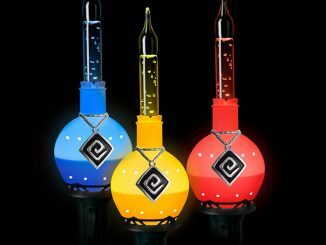 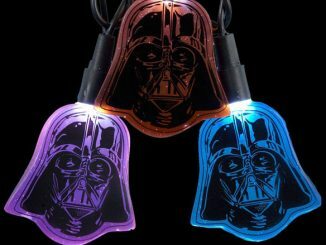 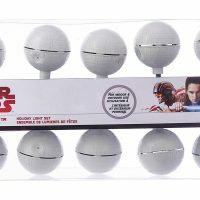 They can be used as Halloween decorations, home theater decor, ambient lighting for your Star Wars collectibles, and the list goes on. 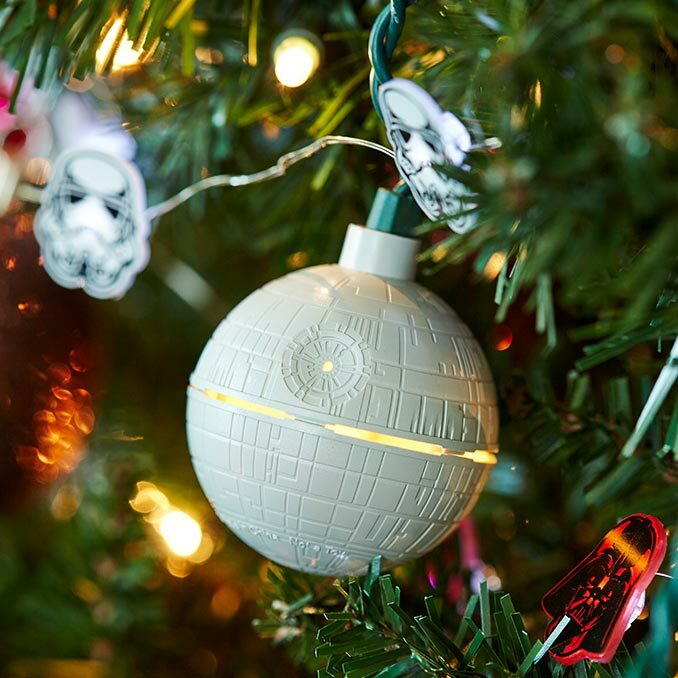 In fact, they’d be ideal for decorating a Christmas tree, especially if you have that incredible Death Star Tree Topper. 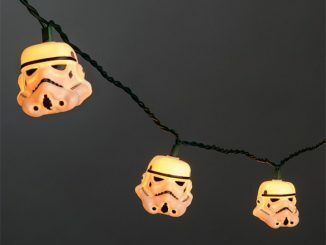 The Dark Side doesn’t just have cookies, they also know how to throw a mean party. 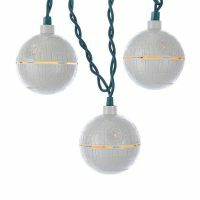 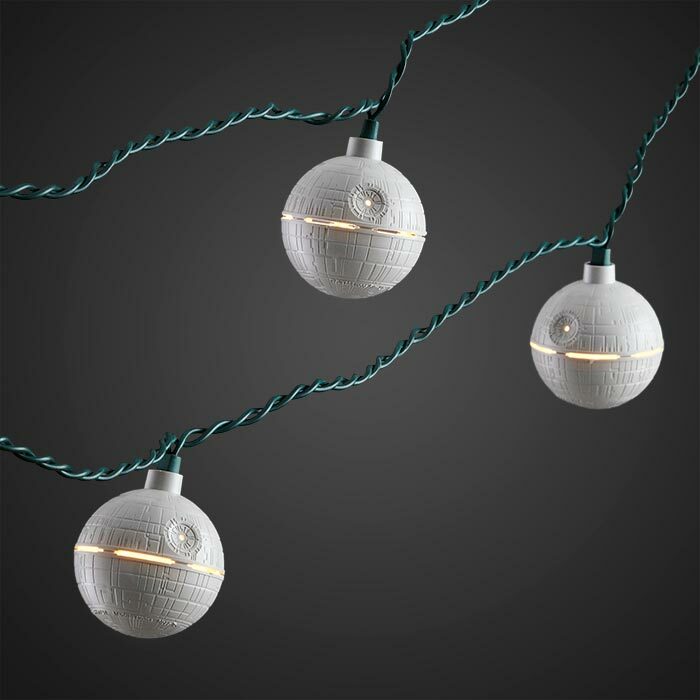 These Star Wars string lights boast a Death Star design and are perfect for indoor and outdoor use, so you can party like the Dark Side, no matter where you are! 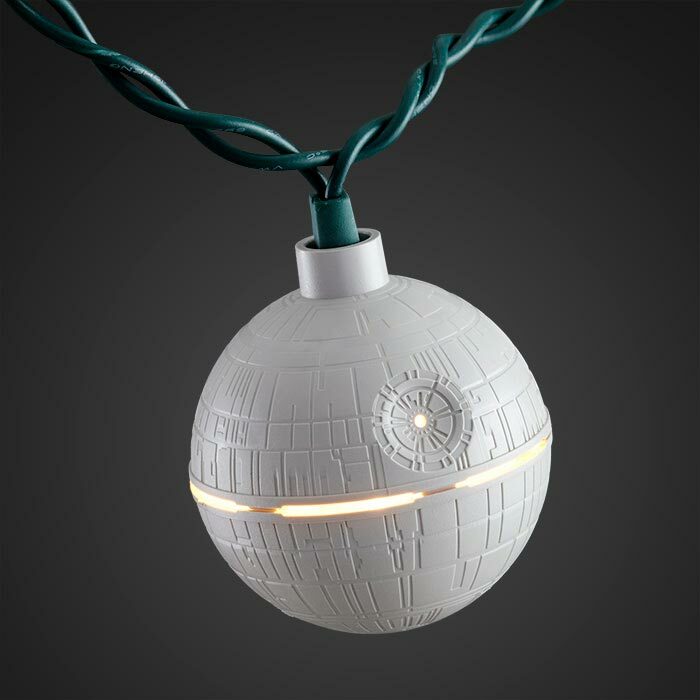 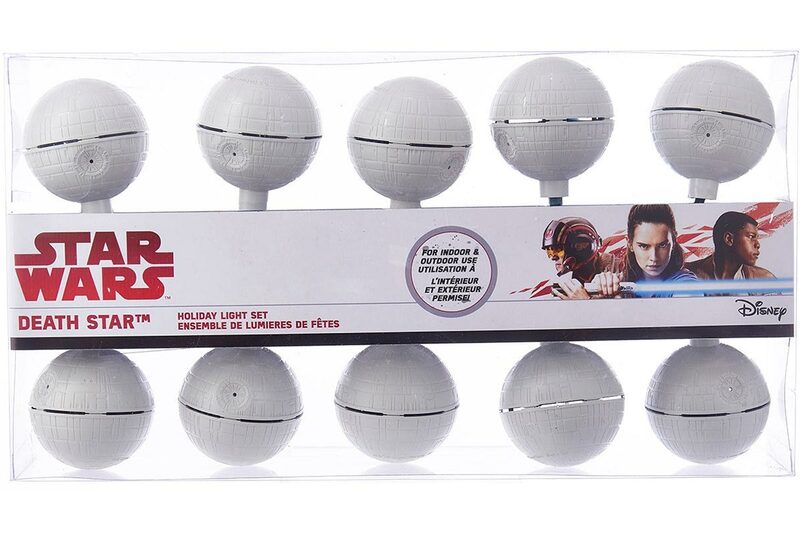 Add some fun to your Christmas decor with this Star Wars 10ct Death Star UL LED Light Set from Kurt S. Adler. This light set featuring Death Star from the movie Star Wars is pre-lit with a total of 10 light bulbs that make it sparkle and shine. 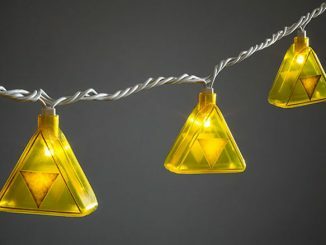 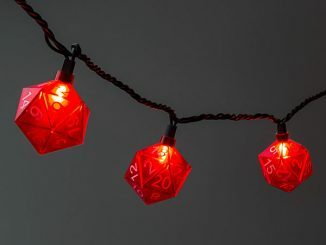 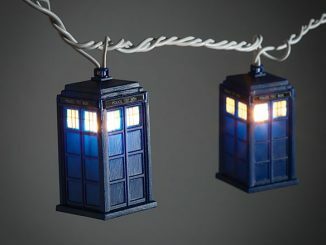 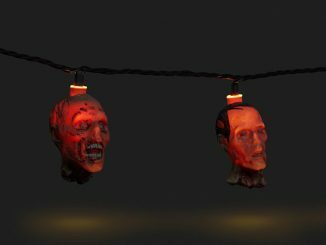 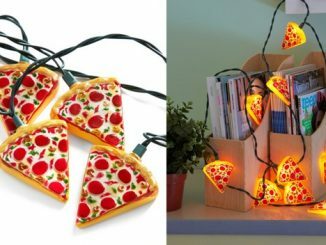 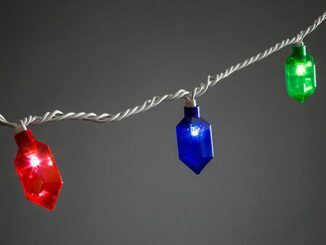 Made of plastic, metal and glass, this light set is sure to add that festive spirit to any room or space and is also a great way to show your love for the movie. 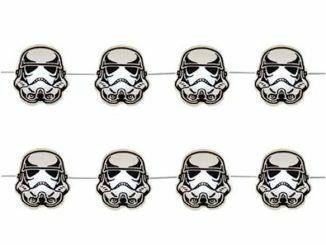 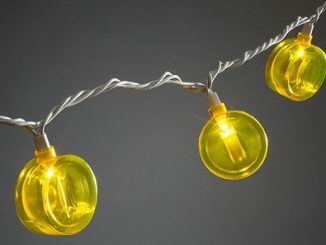 Buy Death Star String Lights for $19.99 at ThinkGeek. 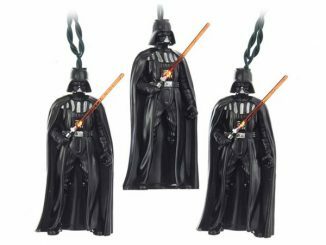 They are also available at BoxLunch, and Hot Topic.